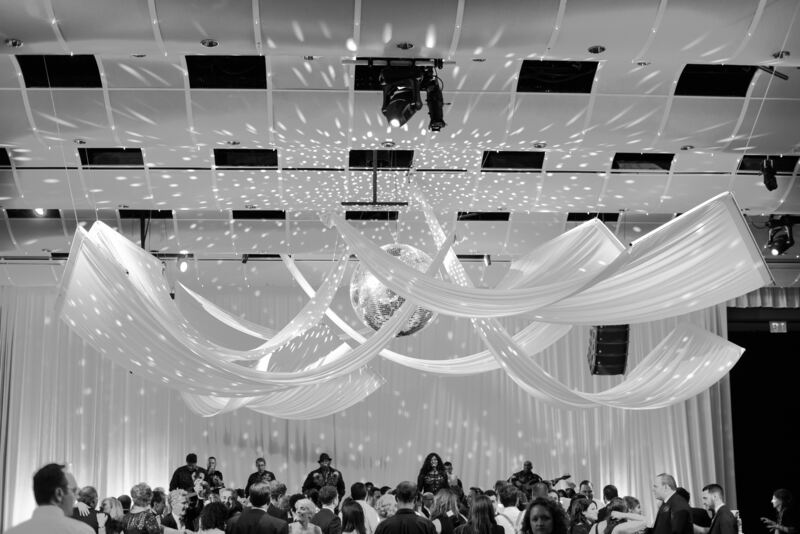 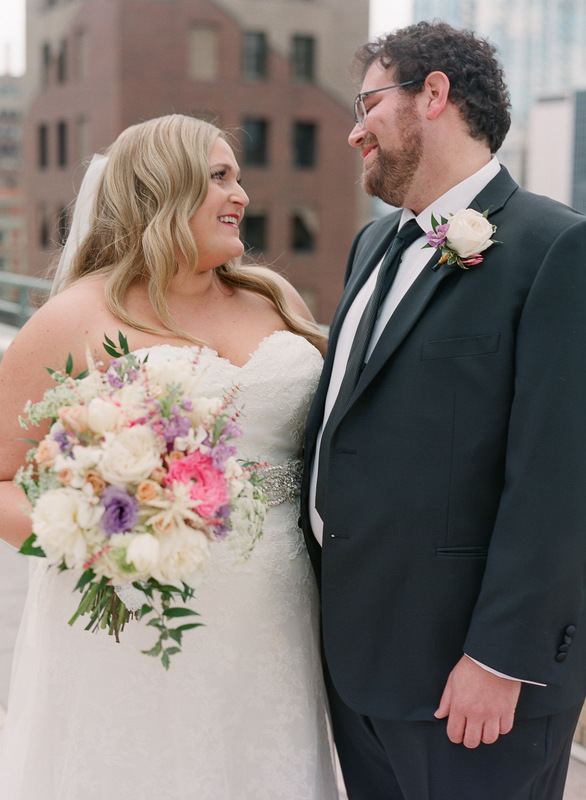 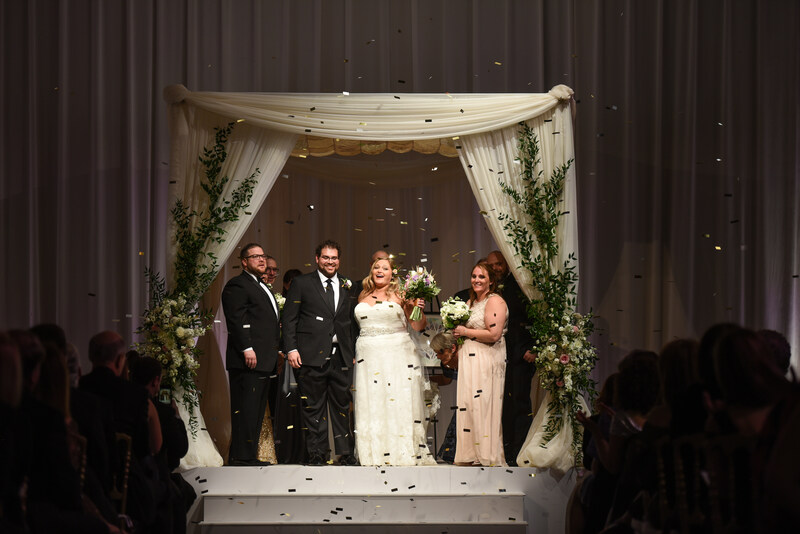 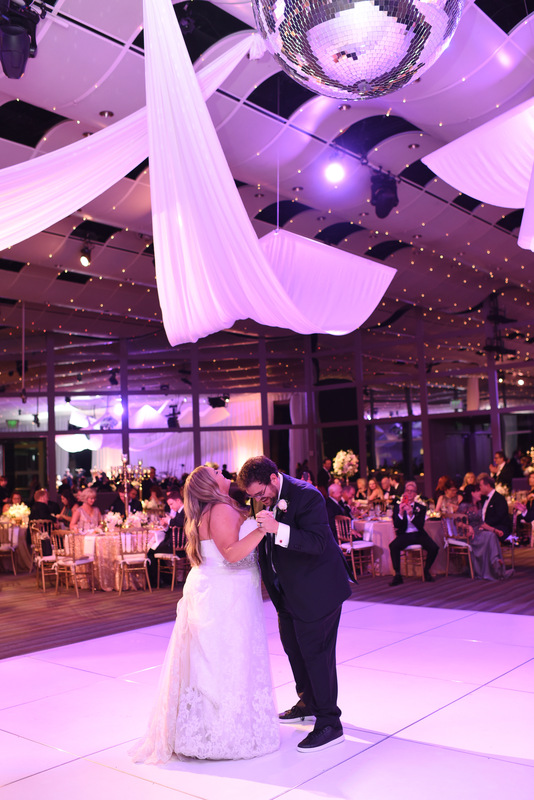 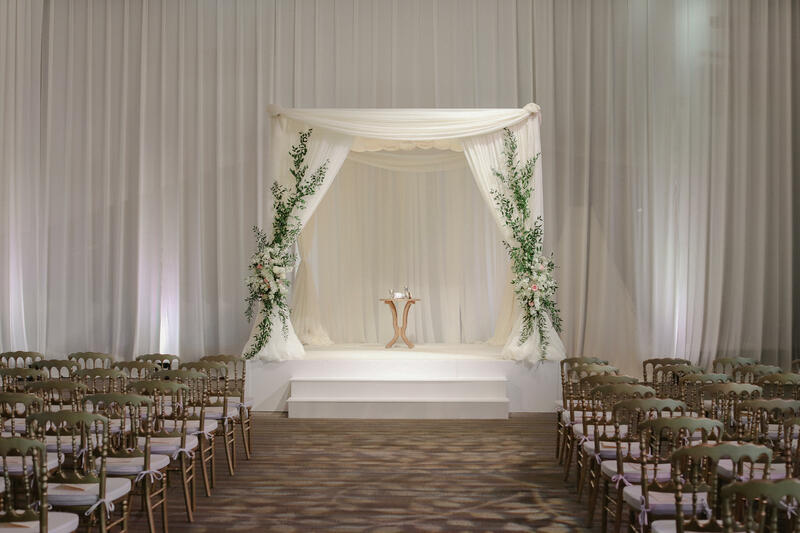 Utilizing a soft, flowing fabric as the foundation, we created a gorgeous Chuppah for an intimate ceremony space. 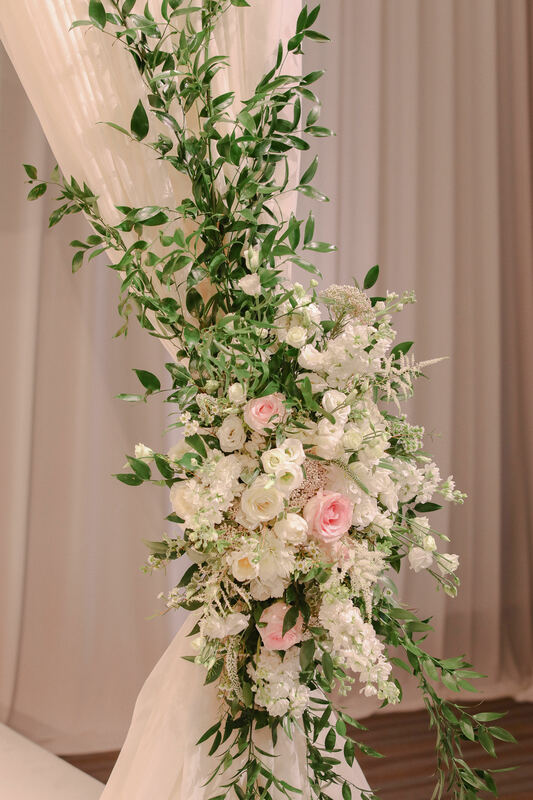 With greenery branching up and around the structure, the gentle toned florals balanced the installation. 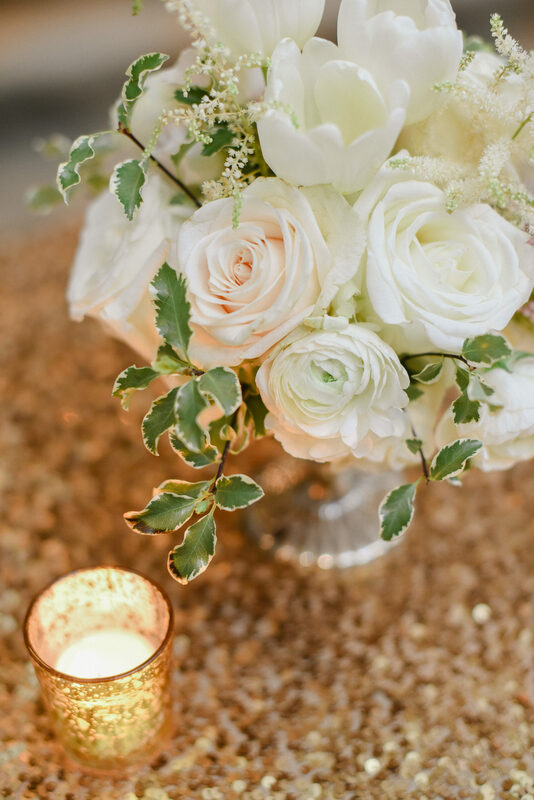 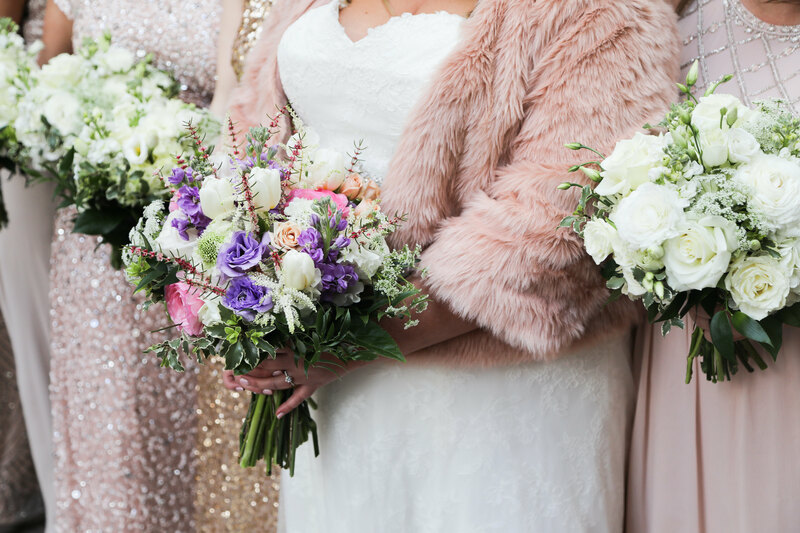 To infuse the entire environment with texture, the florals touched every surface bringing white, ivory and greenery, throughout. 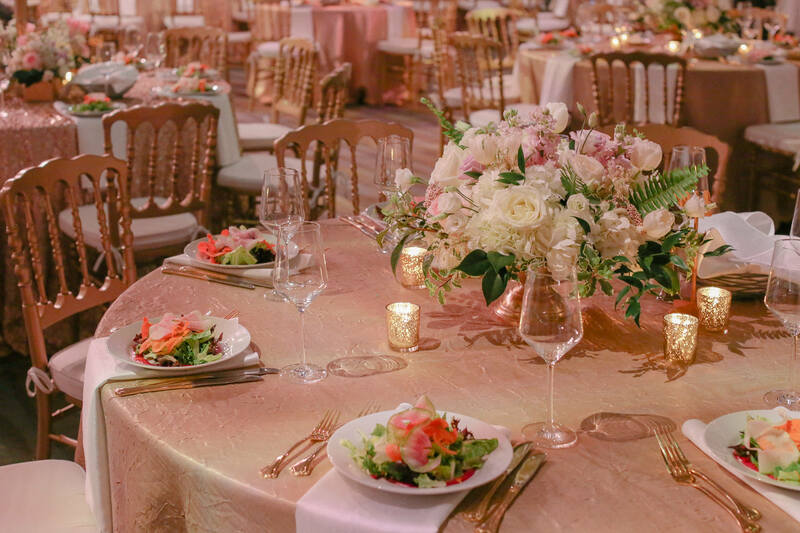 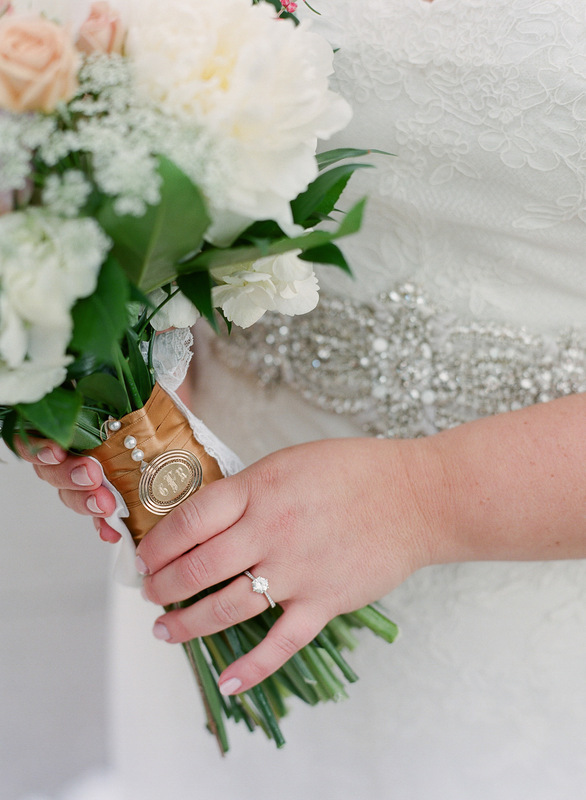 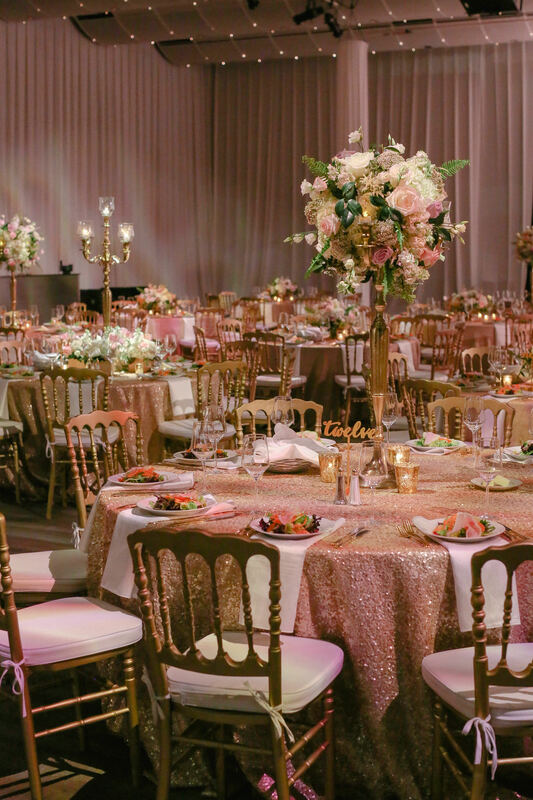 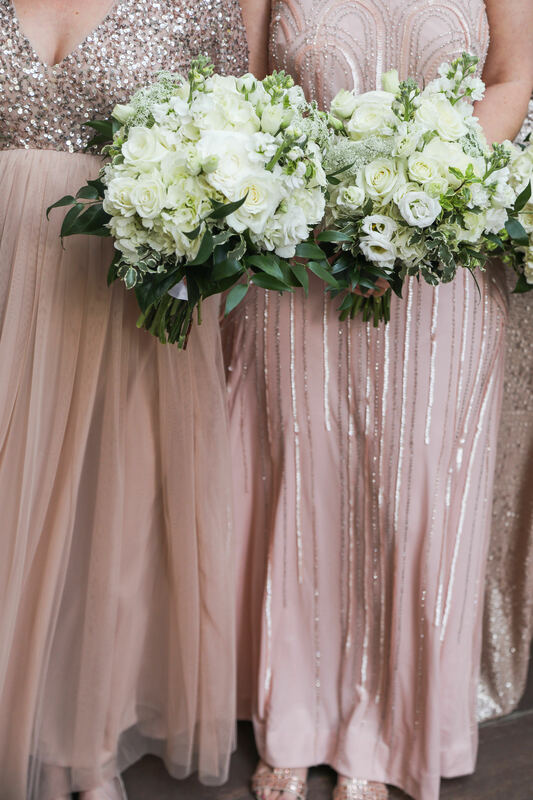 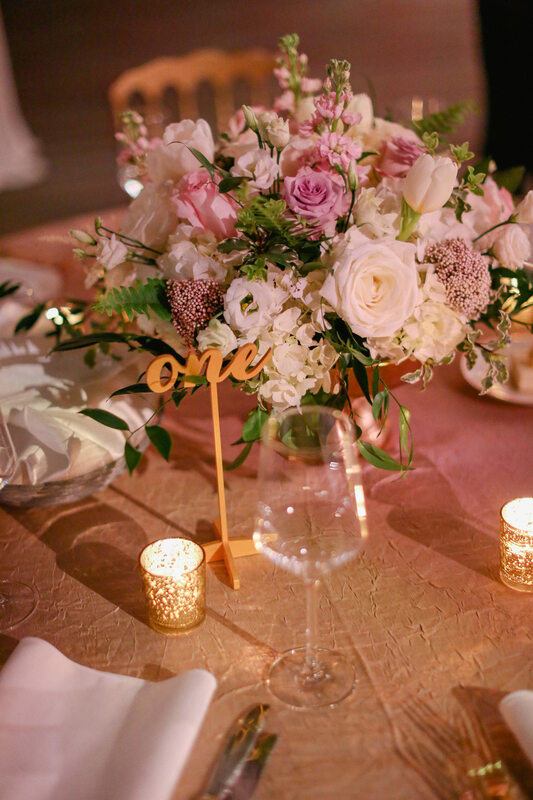 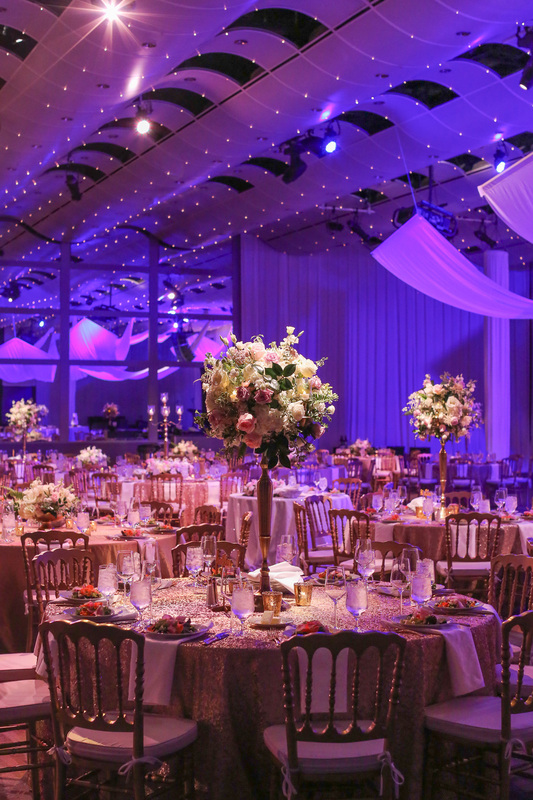 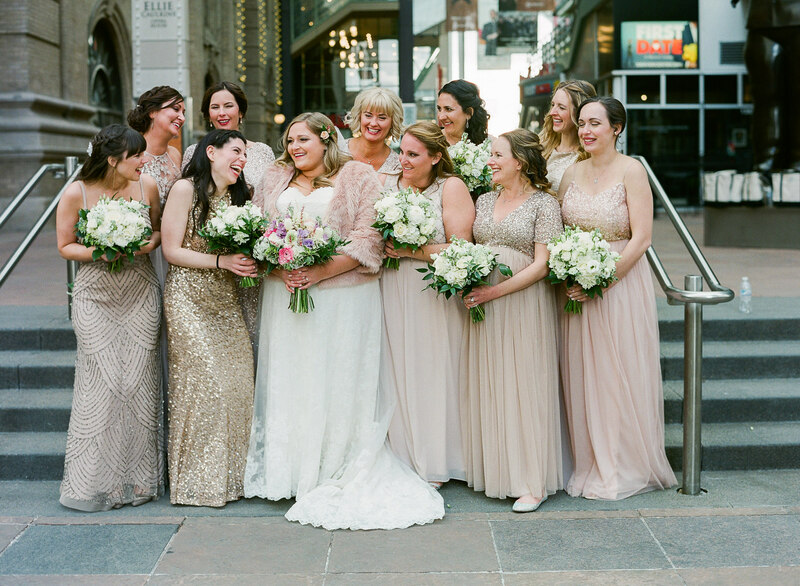 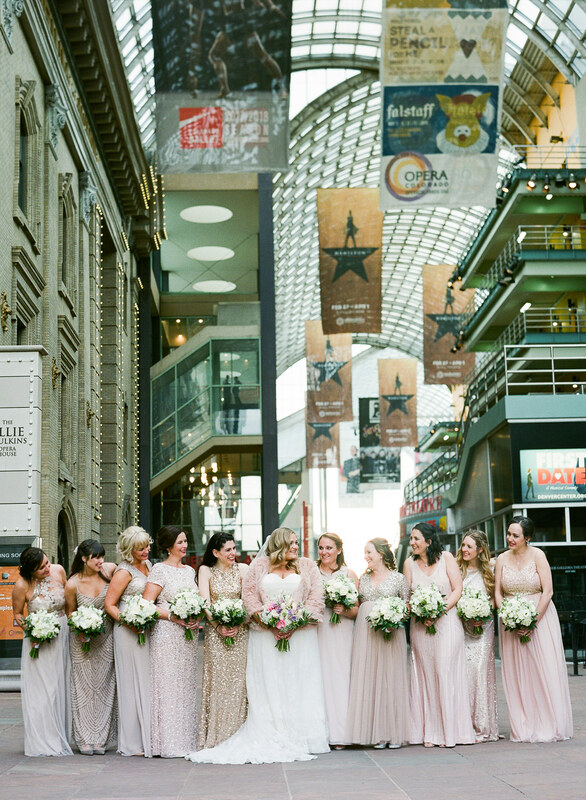 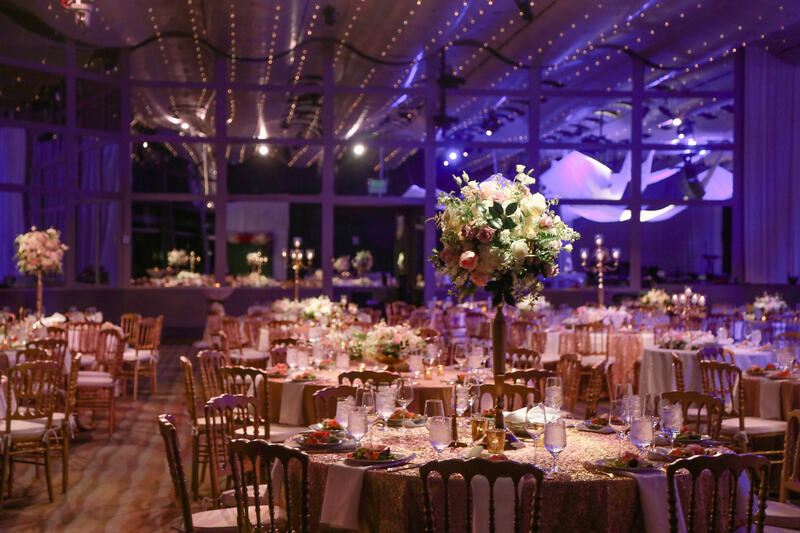 The linens were full of sequins, lace, and embroidery and brought the jubilant experience to each table.